STUCK is a new award-winning documentary, produced by Both Ends Burning, that uncovers the real-life stories of children and parents navigating through the international adoption system. 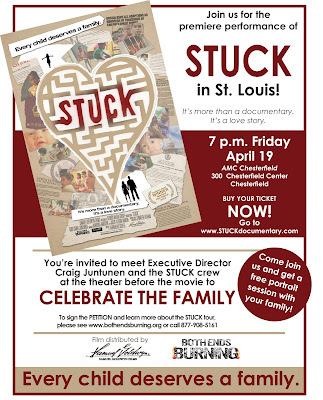 AMC Chesterfield, 300 Chesterfield Center, on Friday, April 19. (notice the Free Portrait offer).